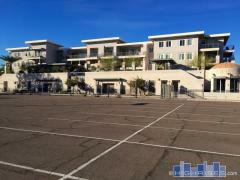 Phoenix has an array of different residential lofts for sale, from historic lofts at buildings like The Orpheum downtown to modern loft-style condos like the Plaza Lofts at Kierland. Whatever type of loft you're looking for we can help you find it in Phoenix, Scottsdale and Tempe. Contact Chris today at 480-571-8650 to schedule a tour of any loft you see here or with any questions about Phoenix lofts for sale.